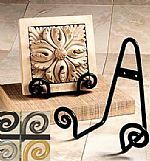 This simply styled and versatile plate hanger can be attached to a wall to create a beautiful display using your collectible plates, framed artwork or photos. Available in a set of 6, these are ideal for items measuring 6" to 10" in diameter. 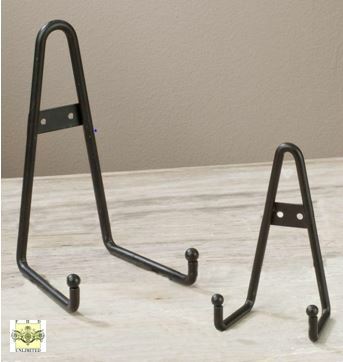 The hanger itself has a black finish and measures 2" deep and approximately 5" high.